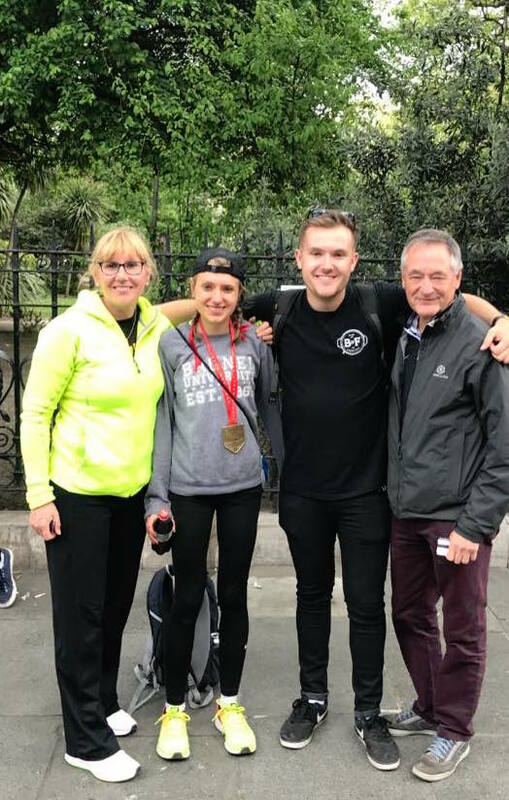 Run Brave - The London Marathon 2017. I’m still trying to absorb what happened yesterday. I’ve barely slept. I sat up at 4am eating mini eggs craving a bacon butty trying to respond to people’s lovely messages. Bizarrely my legs don’t feel too horrific but my stomach has been in pieces from being overloaded by caffine. The day I have anticipated for such a long time. Committed my whole life to and trained so hard for. It’s occupied by mind continuously for months. Its all I’ve talked, thought and obsessed about (and I apologise for boring everyone who knows me stupid with "So I was running and...."). I’m not going to start with the outcome but the journey. As its always the process that is most important and often forgotten. My next marathon chapter started after the Great South Run in October. It amazes me how Rob (my coach) managed to predict and plan my training based on that race. 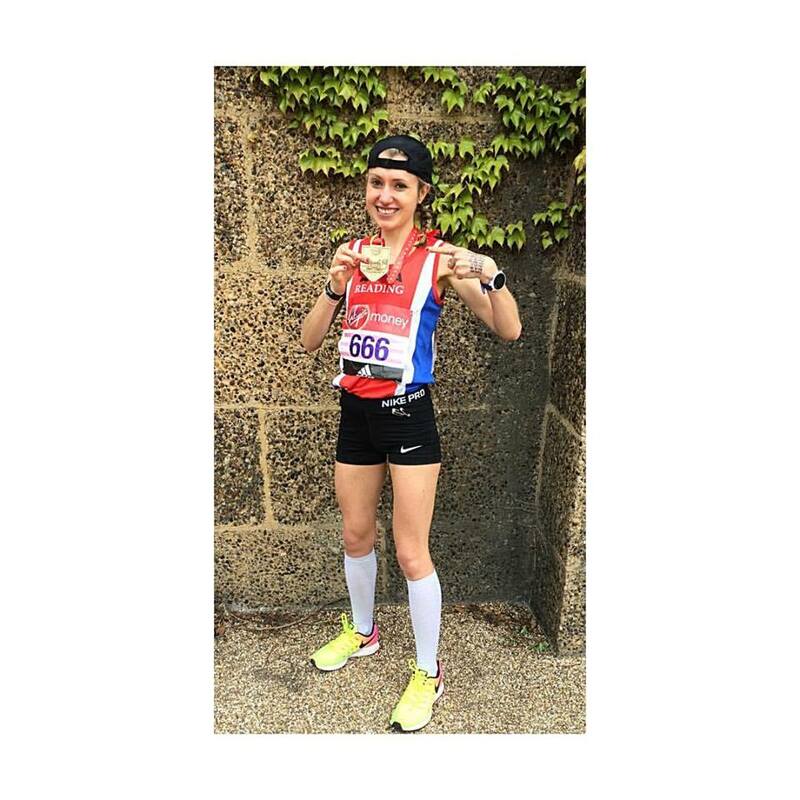 Running 10mph or 6 min/mile was achieved over the 10 miles in Portsmouth, but could I extend that pace over 26.2 miles?- That was the aim and what formulated the core of my marathon training. Dorney lake became my marathon playground accompanied by various different companions, but always by my side was Mark. He endured up to 24 miles of varying steady and marathon pace, motivating and dragging me around relentless laps of the rowing lake. He even did the Hampshire Cross Country League after a mighty marathon session, totally 37 miles (even I thought he was crazy) - not bad for a 800/1500m runner!. Mark’s help has been paramount and I can’t thank him enough. 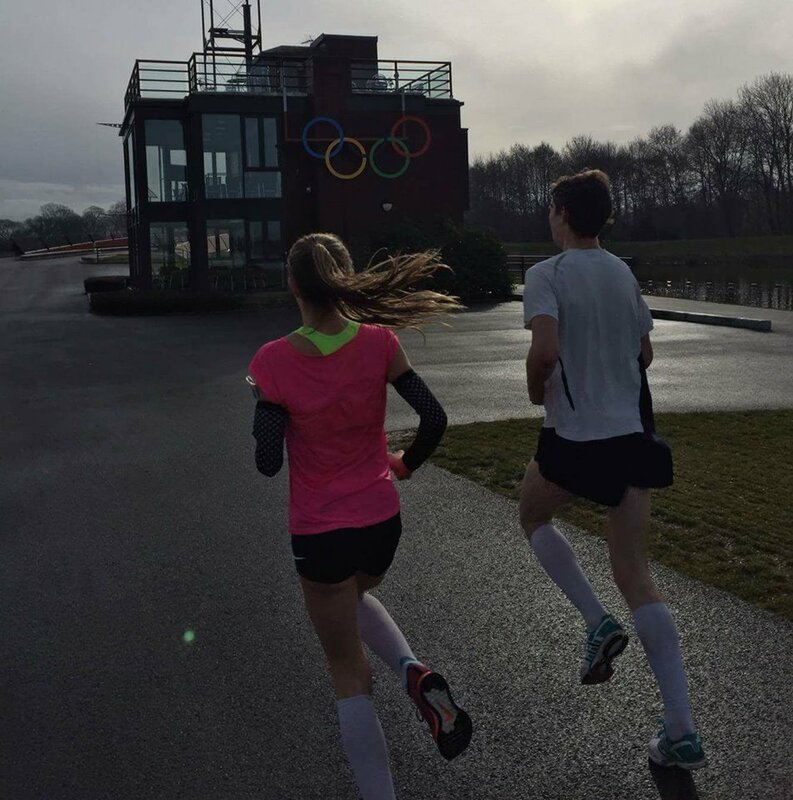 Dorney was all about learning and acclimatising to that magic 6 minute/mile pace to try and make it feel easy. Most of the time it didn’t feel easy at all. Always running off tired legs from big mileages and a busy cross country season. Both of which I believe has been the other key pillars in my 16 week marathon build up. 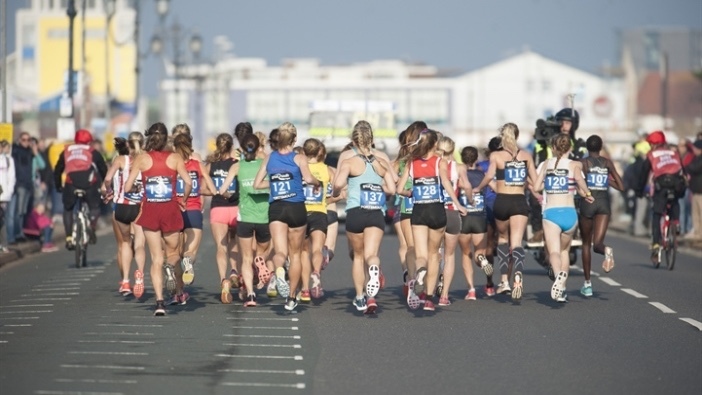 Consistency is what all athletes strive for and I was lucky enough not to miss a beat since a brief ankle sprain (yet quite significant) just after Christmas - how I got away with that I will never know!. The build up was good. Consistent, pleasing performances in races, balanced with a decent volume topping at a 112 mile week and with loads of marathon specific pace. 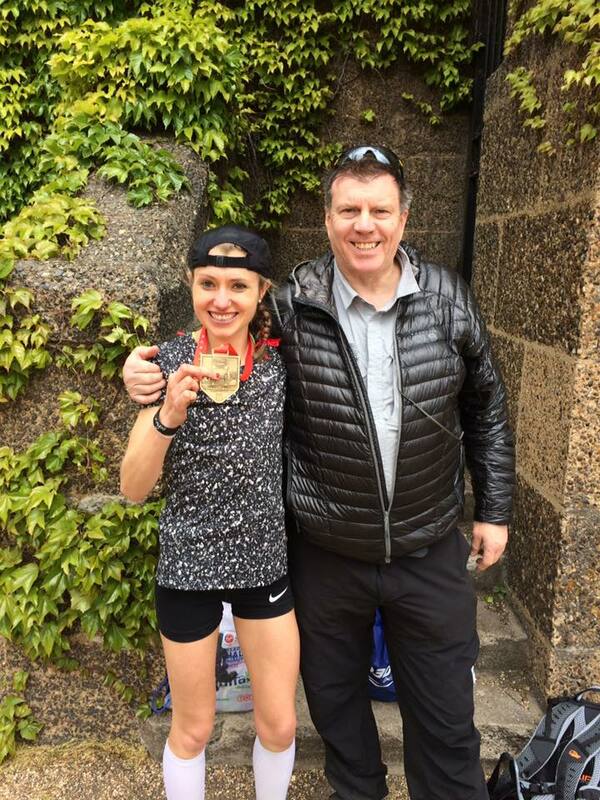 Rob was clearly onto a perfect plan - occasionally almost ruined by my over enthusiasm for running big miles and nearly falling off the knife edge of overtraining. I couldn’t contain my excited all week, particularly when the taper took full effect. For the first time in months, I wasn’t tired and my legs didn’t hurt. I didn’t fall asleep on the train from waking up at 6am and being generally rinsed most of the time. On Friday, I took a complete day off (my 3rd complete day off in the 16 weeks) picked up the lucky 666 race number from the Expo and did an shake out on the Saturday morning. I stayed in Harrow where Emma did my race day hair and nails and looked after me (Obviously the most important part of marathon preparation). The plan. 6 minute/ mile - a nice easy number to work off with the anticipation that the second half will be slower. No way did I think I would hold that. Conditions were perfect. The Championship race got away after the Elite Men at 10am and I was ready. The first 5k was quick but downhill - 17.55. 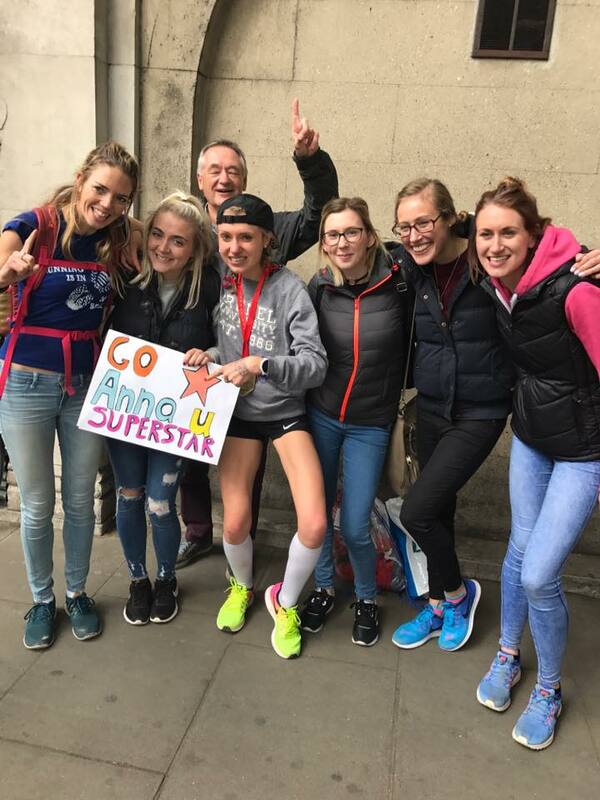 "Okay, too quick Anna"
10k (36.13) and past the Cutty Sark where the amostphere was unreal. I had to play up to the crowd a little bit. Mile 9 & 11- MUM! Waves and smiling - "stop being so cocky Anna! - focus". Over Tower Bridge - "why does this hurt quite a lot?" Through half way - 77.21 - uh oh, terrible stomach cramp. "I’ve blown it. This is it, ANNA YOU’RE SO STUPID". 14 miles - "I FEEL AWESOME" - over take the two girls and plough on. Mile 15-16 - "they keep shouting first women at me?" Mile 16-19 - "So I’m first women. This is really beginning to hurt. The girls will come back to me soon"
Mile 20 - "Oh my god, I’ve got 10k to go" - mad screaming from Winchester XC girls (thanks Mel & India) - " I can do this"
Mile 21 -My Auntie Kay hanging over the barrier with a G&T and my cousins scream at me - big boost. Mile 23 - Past Woodley Park Run supporters. "JUST A PARK RUN TO GO " and I see Charlotte Phillips’s sign. Mile 24- "Who am I? This hurts so much. A horrifically slow mile. I" can't even see Big Ben" I hear my Dad in the crowd. "Make Dad proud, prove to him you can do this". Mile 25 - Birdcage walk is tunnel vision. "How is this so far?" Mile 26 into the mall - forget to wave to the Queen. JUST FINISH. The finish - I can’t see. I can’t hear. I can’t really stand either. A brief trip to the medical tent and then I cry. 2.37.07 and winning the championship race. I couldn’t believe it. Nearly a 9 minute PB. But what meant the most to me was how proud my Dad was. 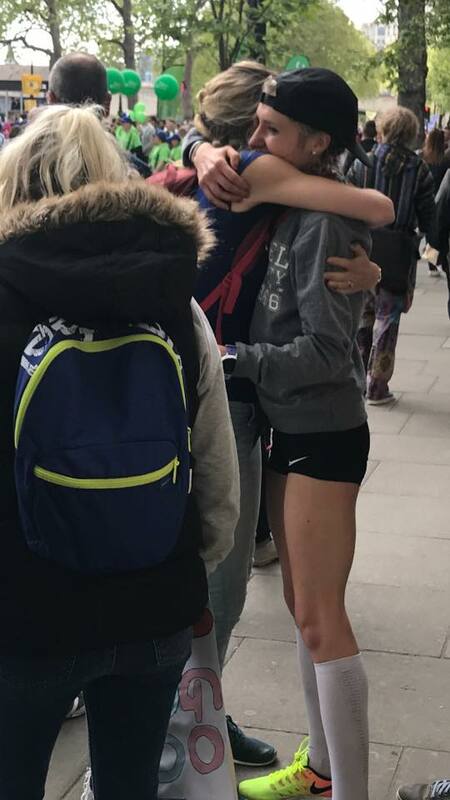 I felt that I needed to prove to him that I have a shot at doing something special over the marathon and it makes me so happy that he was there and understands what running means to me. This is what motivated me to push myself when I was really hurting. I was also so happy that I ended up doing the exact plan Rob had predicted all those months ago and that our teamwork has paid off. It was great to see him at the end of the race. I knew that at some point after the race I was going to be very unwell. I held it together seeing all my amazing friends and family who came to support me and I tried to have a celebratory diet coke. I couldn’t stomach it (shocking, I know). The becoming unwell unfortunately happened on the Piccadilly line (WHY did I think this was the quickest way to get back to Rayners lane!?) and I threw up my diet coke, luckily out the window. I want to prove to people that if you work really hard at something, things do happen. With passion and love for whatever you want to achieve, enjoy the process of getting there. But most importantly believe in yourself and surround yourself with people who believe in you. I am so fortunate to have an amazing support network from my family, friends, coach, the RobSquad and Reading AC. As well as Run 3D and Castle Royle. I’m off to Paris with my Dad for my birthday for a few days (26 years old for 26 miles!). Then, its about reflecting and making new goals. As for the future, I’m not sure right now but the next few months are going to be exciting and I’m hoping this will be a big step forward. Don’t set limitations on what you want to achieve. Enjoy the journey, work hard, believe in yourself and your achievements will follow. Wow, what an amazing day! 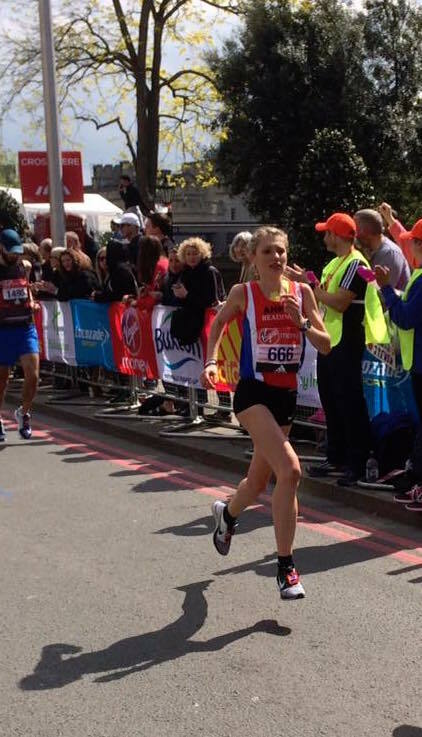 Thanks to EVERYONE for their amazing support & thanks to @LondonMarathon team for the best marathon experience!